Every year the buzzards return to Hinckley, the swallows come back to Capistrano and Montana’s bears ease out of hibernation . 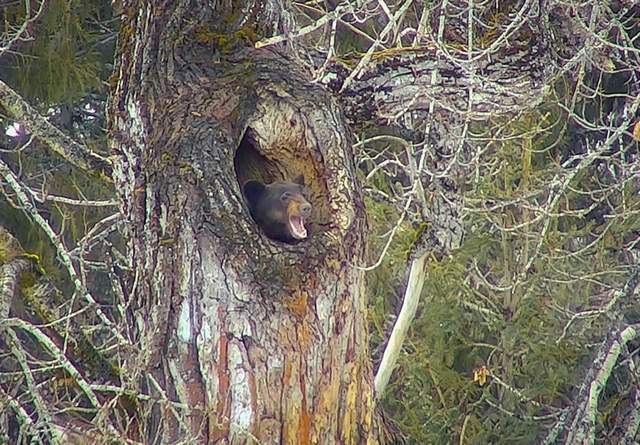 . .
A sluggish black bear that spent its winter denned high up inside a cottonwood tree in Glacier National Park is slowly awakening, and the world is watching as the sleepy bruin ploddingly emerges from its lair, yawning and scratching and prompting a collective “awww” from across the globe. After observing the bear on March 23, park employees installed a webcam and began streaming live footage of a prominent hole in the cottonwood’s trunk where a branch broke away, allowing the bear to take refuge in the repurposed digs last fall and enjoy its winter slumber undisturbed. 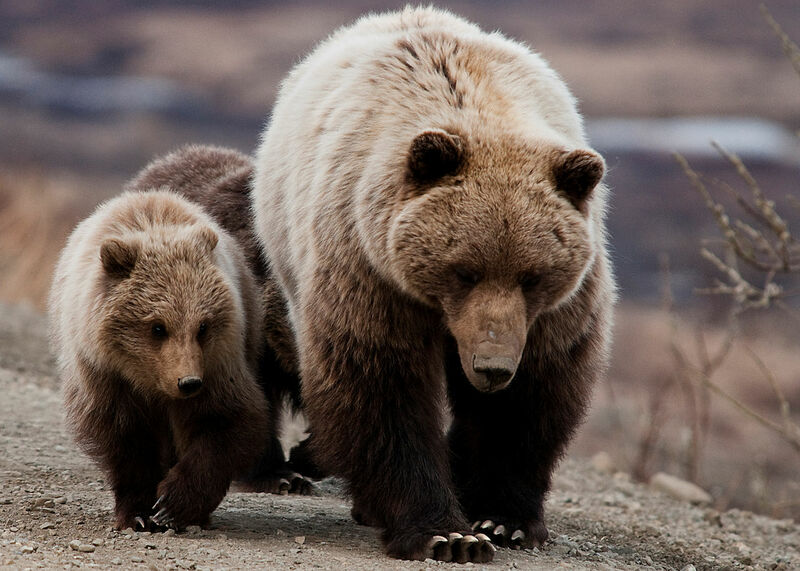 The footage features two views, a close-up and a wide-angle shot, using a telephoto lens with a 30X optical zoom so as not to disturb the bear. Although the distance from the camera to the tree is 357 feet, the view looks spectacularly close. At times the bear’s ears and tufted bedhead can easily be viewed through the portal, through which the bear occasionally pokes its head and yawns adorably, or climbs out onto the cottonwood’s branches to explore. From a Montana Fish, Wildlife and Parks press release . 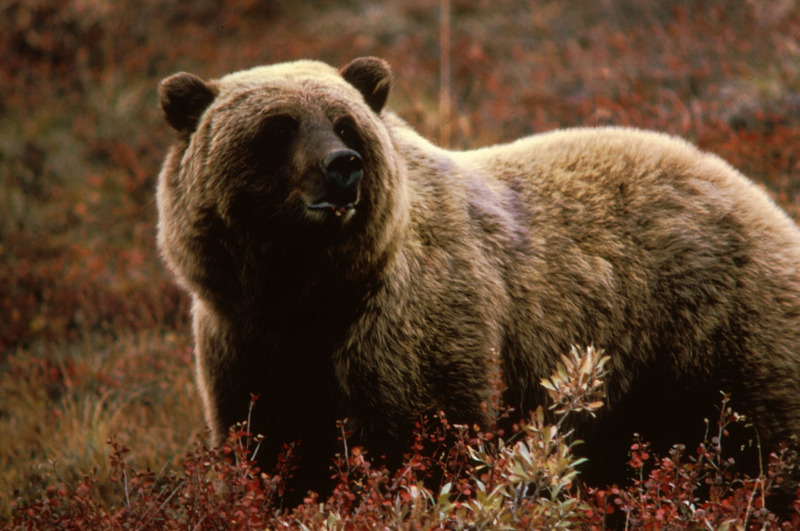 . .
Manley reminds residents and recreationists to secure attractants and carry bear spray while in bear country. Residents can also protect their chickens, beehives, and other livestock from bears by properly installing and maintaining an electric fence. 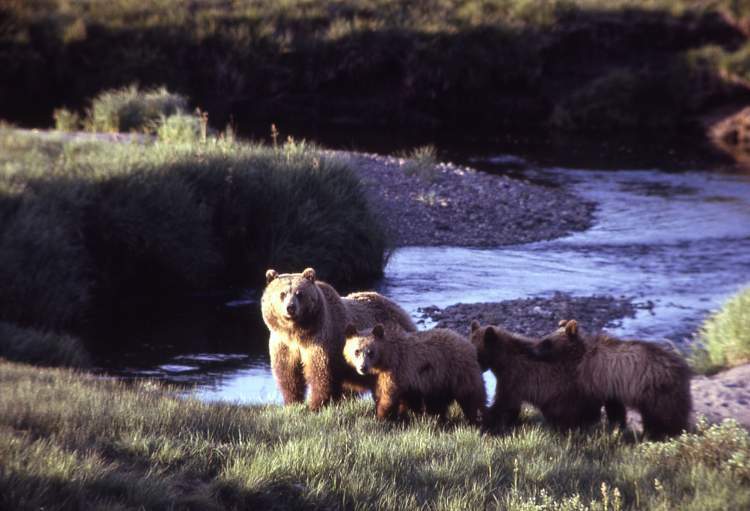 For more information you can visit the FWP website at http://fwp.mt.gov/fishAndWildlife/livingWithWildlife/beBearAware/ or at http://fwp.mt.gov/fishAndWildlife/livingWithWildlife/beBearAware/. Here’s a good article from the Flathead Beacon about the local bears emerging from hibernation. It also discusses the usual spring headache of people not securing bear attractants . 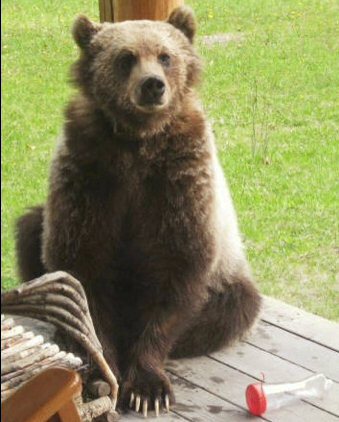 . .
With the arrival of spring, bears are emerging from their mountain dens and descending into the lower valleys in search of food, and one young bruin has already pried its way into a Whitefish home to snack on leftover Easter candy. As local black bears and grizzlies begin to stir in the Flathead Valley, wildlife managers are receiving an uptick in reports of bear sightings and conflicts, prompting wardens to issue a stern reminder to residents who forget to lock up pet food, bird seed, trash, and other food attractants. Bear bathtubs? Who knew? . . . It takes a hike over high ridges and numerous toppled lodgepole pine trees to find the small pool of fresh water in Yellowstone National Park. The first of these pools was discovered more than a decade ago by Yellowstone bear researchers as they searched for a tracking collar that had fallen off one of the bears they were studying, according to an article in the recently released issue of the journal Yellowstone Science. 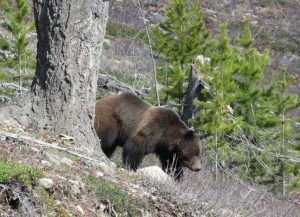 The signal sent by the collar led them to the small pond at the end of a narrow gully surrounded by forested hills, according to the article’s lead author, Kerry Gunther, Yellowstone’s bear manager. Here’s an update on the current state of bear-proof storage. I particularly like the bit about “Kobuk the Destroyer” . . .
An unexpected problem has developed in the world of bear-resistant food storage testing: The grizzly bears responsible for tearing containers to shreds are getting bored or depressed. In a way, that’s a good problem to have. Bear-resistant food storage rules apply to more and more places in the woods as both grizzlies and black bears add human food to their foraging plans. Next summer, floaters who win a coveted permit to spend a week on Montana’s Smith River must pack their steaks and beer in bear-resistant containers. A lot of bears are foraging at lower elevations right now, getting ready for winter . . .
Grizzly and black bears are roaming the Flathead Valley in greater abundance as they prepare to den up for the winter, scouring the valley floor for lower-elevation food sources after exhausting this year’s scant supply of berries. The bears’ seasonal sate is known as “hyperphagia,” but this year’s drought has led to a dearth of natural foods. Meanwhile, as the ever-expanding human-wildlife interface continues to overlap, the bears are increasingly running into conflict with people, exasperating wildlife officials who urge residents in bear country to reduce conflicts by taking simple steps, like picking their fruit trees, locking up trash and storing pet and livestock feed indoors. This tragedy is proving to be a real object lesson on why people should not feed bears. From the official press release . . . According to FWP Investigator Brian Sommers, the investigation into the black bear attack on the elderly woman in her residence between Batavia and Ashley Lake is continuing. The investigation to date shows that the woman was attacked inside her residence, that she was actively feeding bears, and that numerous bears have been frequenting the property. FWP set traps to capture the bear involved in the attack and to address the hazard of food-conditioned bears roaming in a residential area. Over the past two days, two food-conditioned black bears were captured and euthanized at the residence. The two bears were anesthetized and then euthanized. Necropsy performed on the bears revealed extensive artificial feeding of sunflower seeds and millet. 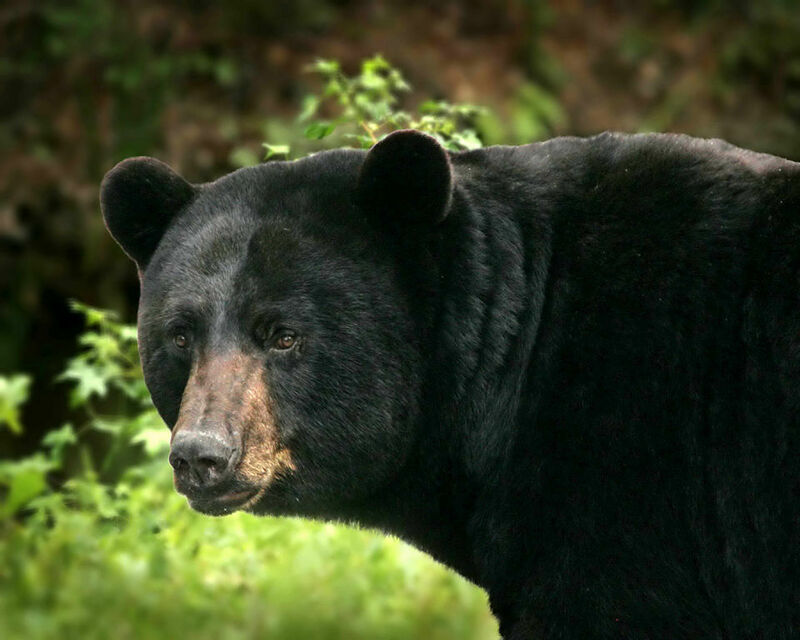 One young female black bear weighed 99 pounds, and an adult female weighed 162 pounds. Investigators believe that neither of these bears were the one involved in the attack. According to Bear and Lion Specialist Erik Wenum, who performed necropsies on the bears, the evidence is clear that someone in the area is still feeding bears. “Someone is hampering our investigation by continuing to extensively feed bears, making our efforts to attract and trap the offending bear that much more difficult.” He noted that large amounts of millet and sunflower seeds were found in the digestive tracts of both bears. Sommers note that people feeding bears can be cited for obstruction of an investigation. He pointed out Montana Law prohibits feeding of bears. Sommers further states that bears that are fed become habituated and food conditioned which can lead to aggressive behavior and the inability or desire to fend for themselves once the supplemental feed is removed. This in turn can lead to bears breaking into buildings, trailers and vehicles in search of food producing a large public safety issue. The act of breaking into structures or vehicles and endangering humans, pet, or livestock is grounds for removing the bears from the system. From a recent Montana Fish, Wildlife and Parks press release . 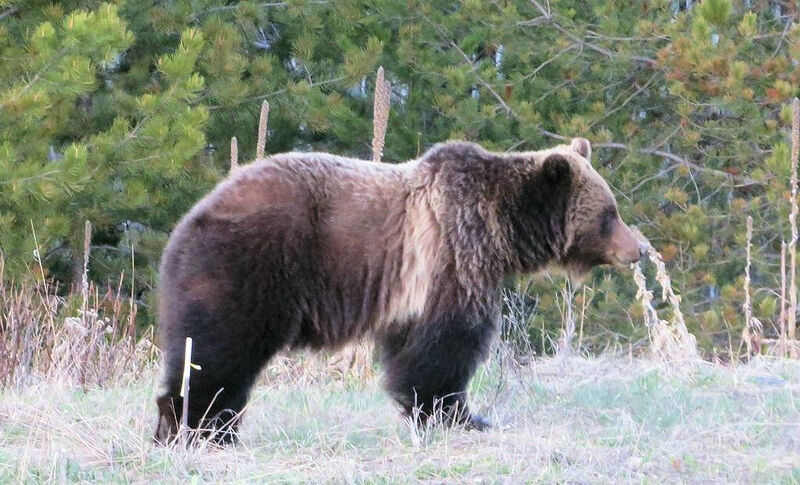 . .
FWP bear managers are asking residents in northwest Montana to secure garbage, pet food and other attractants in light of recent conflicts in the Whitefish area. Bear and Lion Specialist Erik Wenum notes that several black bears have been accessing unsecured garbage particularly in the Lion Mountain and Whitefish State Park Road areas. When bears access garbage they can become food conditioned and can potentially be dangerous. Wildlife biologists usually have to kill food conditioned bears in the interest of public safety. Erik Wenum, FWP Bear and Lion Specialist; 756-1776.